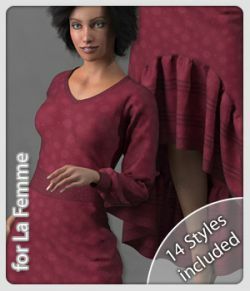 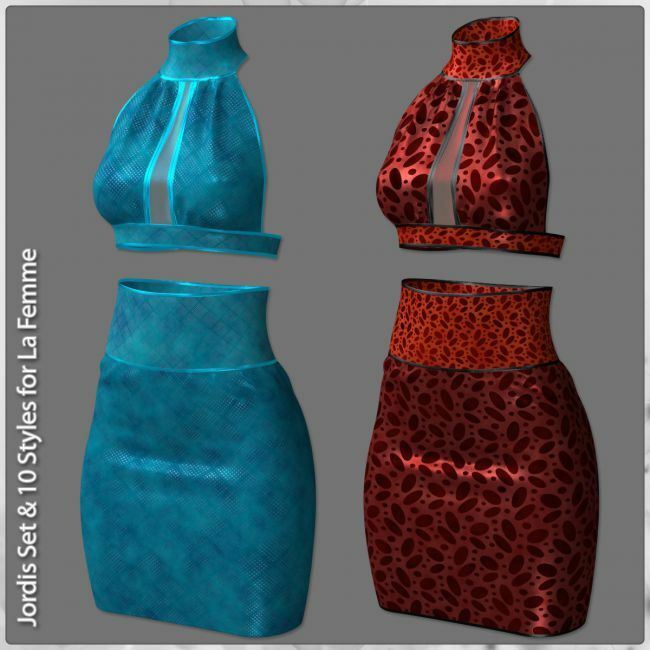 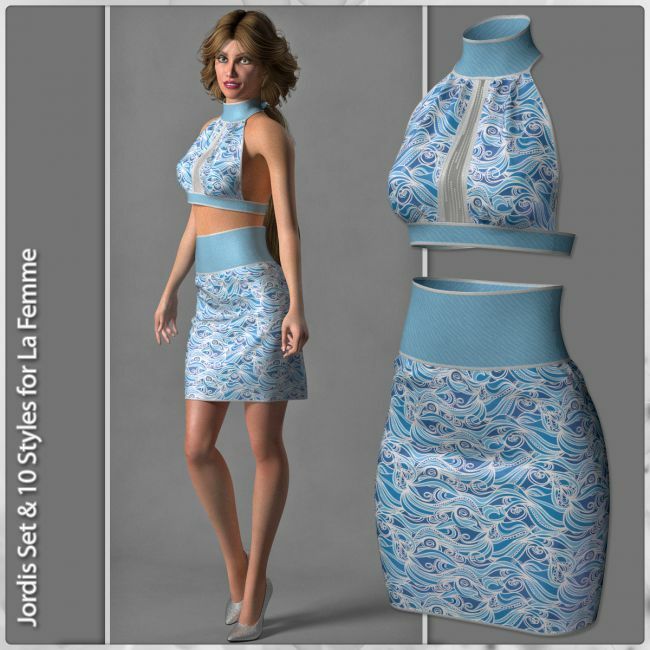 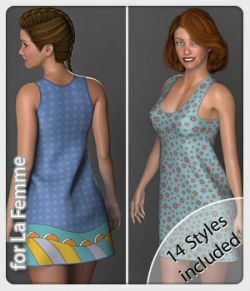 Jordis Set & 10 Styles for La Femme. 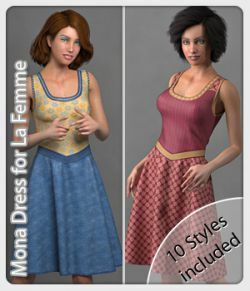 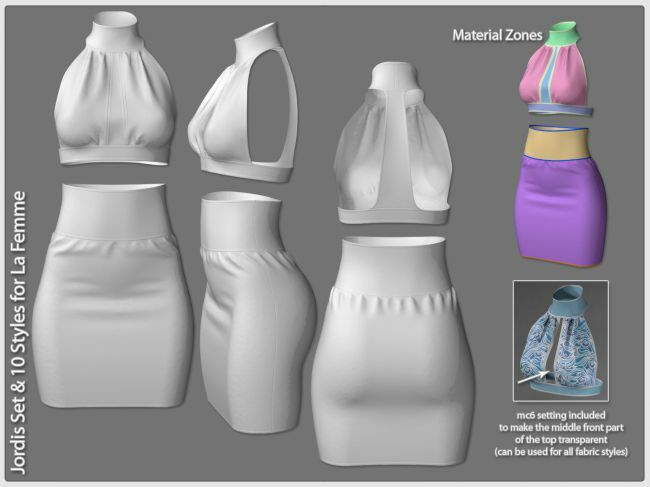 The prop clothing items in this set can only be used with the Poser Cloth Room. 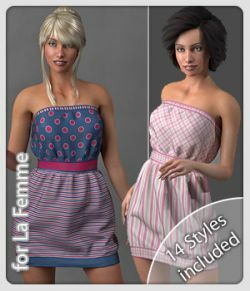 For using this set you need to have Poser 11 and La Femme.